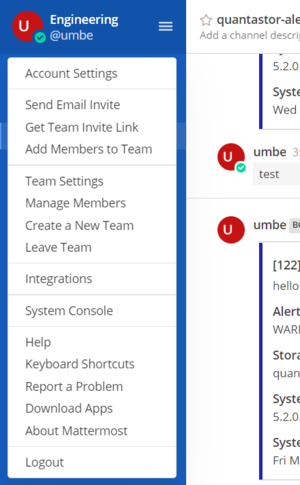 Mattermost is a Slack-like team collaboration and messenger service that allows organizations to run the service within their own infrastructure. For IT organizations it's a helpful to get call-home alerts sent to a specific "channel" which is easy to monitor throughout the day along with other channel use. 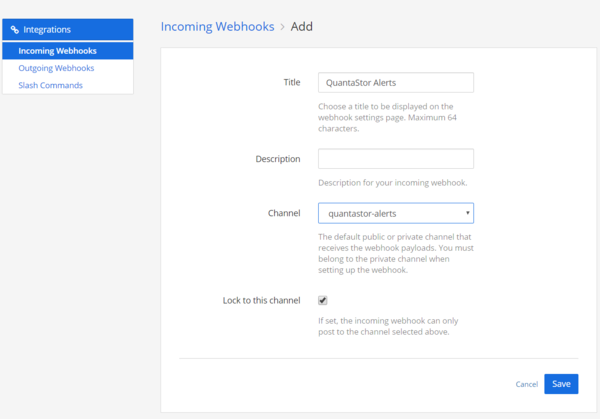 QuantaStor integrates with Mattermost through the use of an incoming webhook. These may be created within your Mattermost server in the Integrations section as shown in this image. 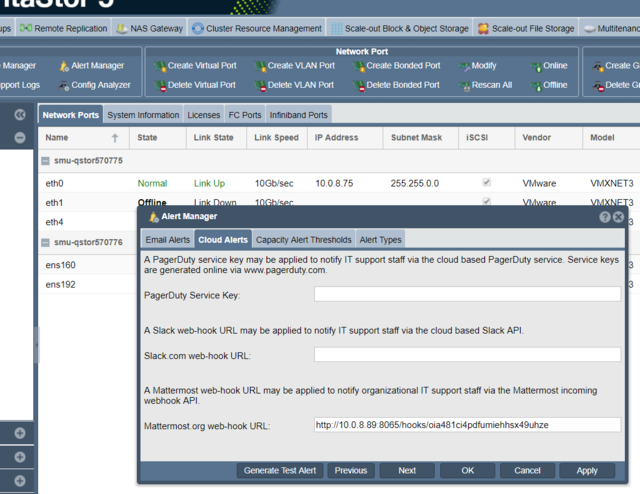 Next, select "Create Incoming Webhook" to create a web-hook URL which is bound to a specific Mattermost channel. Last, login to your QuantaStor system or grid and paste (Ctrl-V) the webhook into the Mattermost section of the Alert Manager in the QuantaStor web interface. This page was last modified on 28 March 2019, at 14:13.